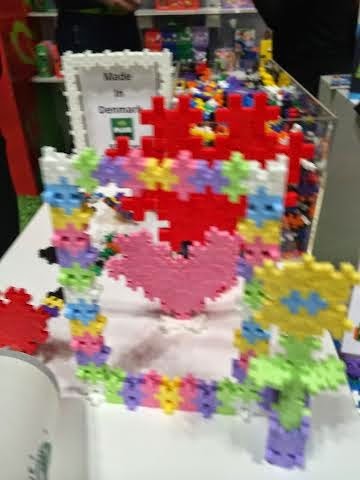 I recently made my annual visit to the spectacle of all things kid and beyond at the New York Toy Fair. This gigantic trade show is held at the Javits Center and is literally miles of toys, stuffed animals, wooden blocks, Christmas kitsch, dainty dolls and anything else you can imagine. 1. 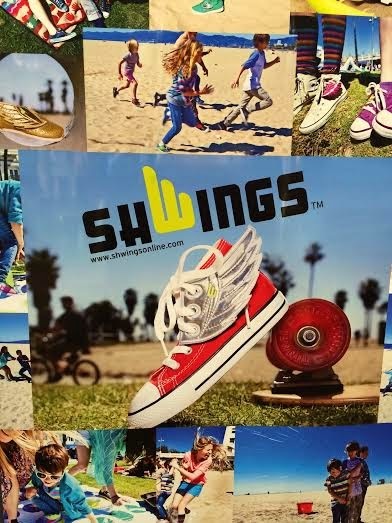 Shwings - I had just seen these awesome shoe accessories a few weeks earlier at Bank Street Books on the Upper West Side, and had immediately thought my son would like a pair of wings for his sneakers. 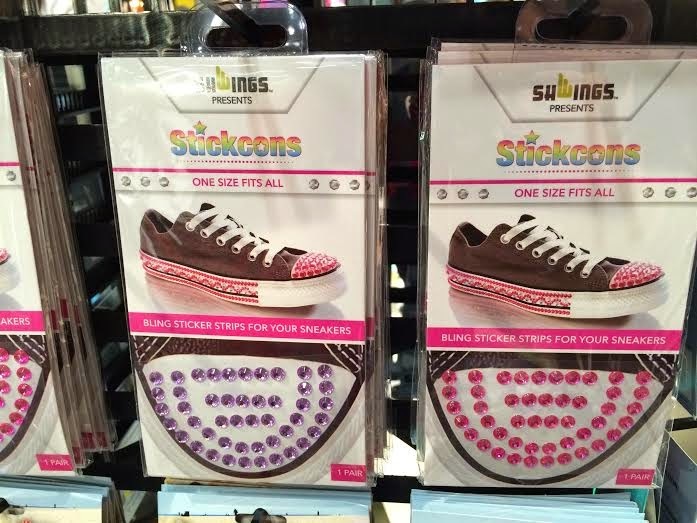 In addition to wings for shoes, Shwings also has rhinestone decorating kits, and other cool accessories for decorating shoes. For the young, or the young at heart, I honestly think everyone should have at least one pair of shoes adorned with Shwings. Available online at Shwingsonline.com. 2. Zorbz Self-Seal Water Balloons - That's right, these water balloons self-seal instantly, no tying required! The only self sealing water balloons on the market, they seem like a must-have for summer. 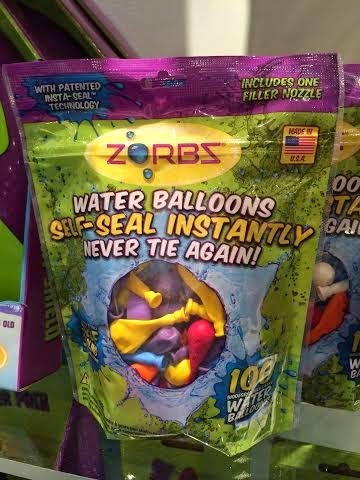 Available in packs of 50 and 100; purchase and learn more at ZorbzWaterBalloons.com. 3. 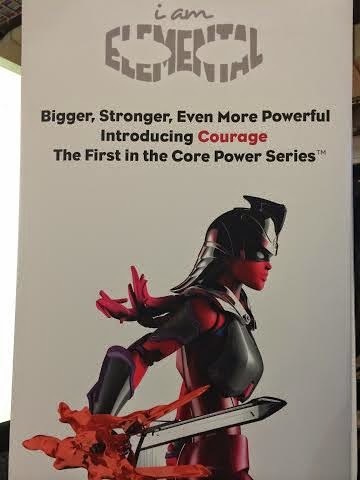 I am elemental action figures - Created by a New York City mom in 2013 who was disappointed with the choices in female action figures, these action figures are powerful, and specifically created to provide healthy female action figures for girls. Based on the Periodic Table of Elements, each Element action figure represents a unique power. Purchase single action figures (which come with shields and inter-changeable accessories) or get the lunchbox carry case with all seven. Ages 4+, available online at IAmElemental.com. 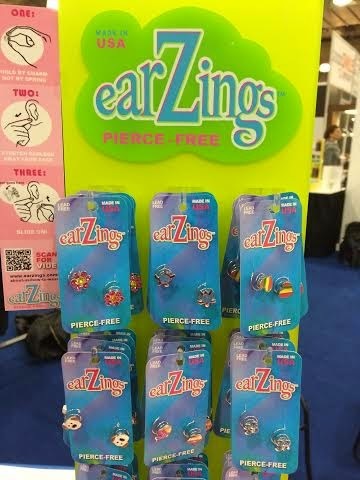 4. earZings are pierce-free earrings, especially geared towards girls who don't have pierced ears. These earrings have a unique coil design that makes it possible to easily put on the earnings as well as (according to the founder, I didn't try them) makes them less painful than the usual clip-on or magnetic earrings. Tons of cute designs to choose from, and sure to be a big hit with tweens! Available online at EarZings.com. 5. Plus-Plus - I had spotted these cool building blocks at Sunshine Sam, a battery-free toy store in Bloomfield, NJ previously, so I was already familiar with this great product. This toy from Denmark can be used by kids of just about any age, with older kids building more complex projects and younger kids enjoying the fun of putting the plus-shapes together while developing motor skills. Plus-plus is available in a variety of quantities, as well as building sets. 6. 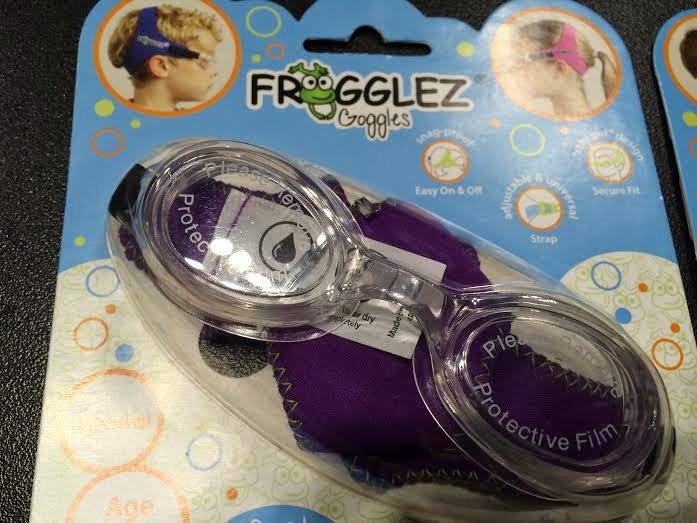 Frogglez - A new innovation in swim goggles, these goggles have a thick neoprene strap that makes them easier to adjust and more comfortable to wear and remove, less hair pulling is one of the features. With a five-year-old son who just started swim lessons, and who cannot seem to get his goggles comfy, this product definitely seems one that will be welcomed by many parents. Available online at FrogglezGoggles.com. 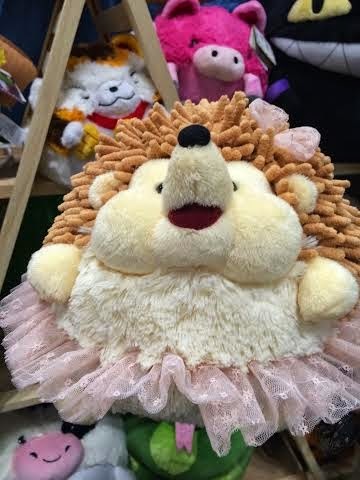 but one look at new release Hedgehog in Tutu and I knew, there are plenty more lovable creatures coming from Squishables. Others to be released soon include chocolate milk cow and fortune cat, so really the cuteness is endless. If you don't already have a Squishables habit, now is the time to start one. 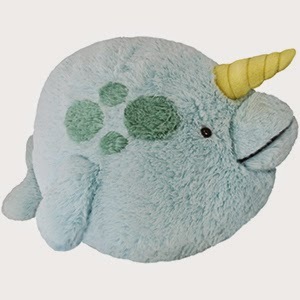 Available online at Squishable.com, but beware, they rotate styles often, and the tutu hedgehog has not yet been released. I received press admission to the Toy Fair, and the kind folks at Schwings made sure I didn't arrive home empty handed. My kids loved everything from the butterfly wings to the rhinestone stickcons. Great Giveaway from myCharge! Easy Entry!